Total Wine & More needed awesome PR. 13 Jul Total Wine & More needed awesome PR. Brower Group has proven we’re up to the challenge. Our PR results for Total Wine & More show it. 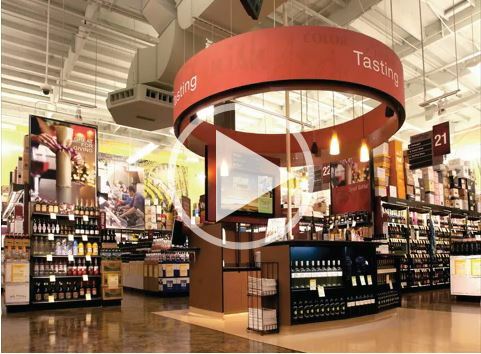 Check out this short video about our PR results for Total Wine & More, which include an astounding 921,217,419 media impressions (nearly 1 billion) in one year alone, plus some really cool other ideas. Founded and co-owned by brothers David and Robert Trone, Total Wine & More is the nation’s largest independently owned retailer of fine wine, beer and spirits. Based in Bethesda, Maryland, the company has grown from the first, small store in Delaware to a company that now has over 175 superstores in 21 states. The company’s unmatched selection of products, combined with low everyday prices and expertly trained wine associates, brings a unique shopping experience to the customer. Total Wine & More has the distinction of being a four-time National Retailer of the Year – recognized by Beverage Dynamics in 2008, Market Watch in 2006 and Wine Enthusiast in 2004 and 2014. Total Wine & More is the only retailer in the country to have twice been named Wine Enthusiast’s retailer of the year. Since opening its first store in 1991, Total Wine & More has been committed to being the premier wine retailer in every community that it serves. More information on Total Wine & More including its community outreach efforts, product offerings, stores locations and hours of operations are available at www.totalwine.com.